When space is limited, every inch of a garden becomes important. While small space gardening has its challenges, there are also some perks, like less maintenance and getting to know each of your plants on a personal level. 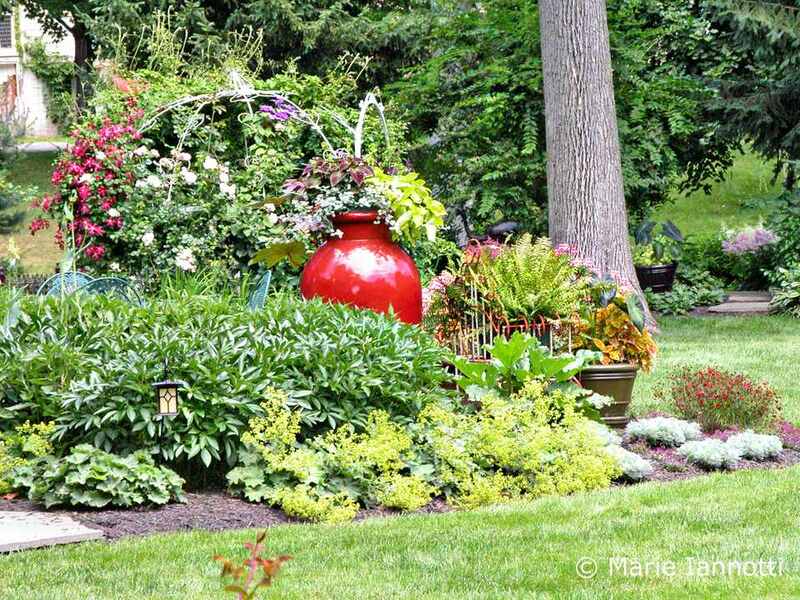 Maximize the perks by planning your small garden before you plant. Before you start digging, you need to have some vision of what you expect from your new garden and a basic overview of the space in which you will be gardening. This can lead to a good amount of fantasizing and/or panicking. When it comes time to put a garden plan on paper, many novice garden designers feel like they don’t know where to begin. That's why it's so important to really get to know your growing conditions before you jump in. We know it's not the most fun aspect of gardening, but an important early step is to assess your future garden site’s physical attributes: sun exposure, soil, nearby features... A good site evaluation will answer many of the scary questions about the hows and whys of your new garden. Take an honest survey of your site and use that knowledge to begin fine tuning your garden design. We know it is much more tempting to jump right in and start choosing plants you love. Many gardens are made this way, but most of them end up being re-designed at some point. Not all plants will be happy in your garden and it’s best to know that before you start. Time spent evaluating your garden site will make designing your garden that much easier. It's okay to have some idea of what style of garden your prefer, such as cottage, Asian, or formal. Most of us have preferences when it comes to colors, too. But take some time to carefully consider and complete the Garden Site Evaluation before you begin to think about specific plants, no matter how much you long for them. Plants need what they need. There is no point fighting for a garden woodland if you have full sun exposure: Not many flowering plants will flourish in a garden situated under a tree. If you’re growing vegetables, you’ll want the best location for sun exposure and proximity to a water supply. And so on. If you know your site’s pluses and limitations, you can start to flesh out the garden’s possibilities. This is all the more important in a small space garden. Space limitations can be very confining or very freeing. If you’ve always dreamed of a cutting garden to fill the rooms in your home with fresh bouquets, a small garden may not satisfy that dream. However, if you know you can only accommodate about 5 types of plants or you know you don’t have room for space hogs like rapidly spreading monarda or long, vining pumpkins, half your planning work is done for you. If you absolutely must dive in and start planting before you plan, the site evaluation is still worth doing. Knowing the quality of your soil or how much sun you really get―and when―will help you understand why certain plants you've chosen have thrived or failed. You'll still have to do some re-designing, but you'll know how to avoid the same mistakes in the future.